Whether you're staying in or hitting the town, we've got suggestions for an amazing New Year's Eve outfit! A new year is upon us and with that comes goals, intentions, and a general attempt at improving oneself. But before becoming immersed in self-help guides and newly purchased work out gear, there is one last chance to indulge in bad habits and fun while surrounded by friends and family - New Year's Eve. New Year's Eve is one of the more controversial holidays on the roster. Expectations are often astronomical and unrealistic, large alcohol and sugar consumption usually leads to at least one person crying, and there is always an amazing, shiny outfit that has to be covered by a coat due to the ridiculous temperatures. There's no wrong way to celebrate New Year's Eve and Lille has you covered from beautiful lingerie to comfy, cozy loungewear. Whether you choose to stay at home and ring in the new year alone, decide that going out to a local bar to celebrate with all your closest friends is more your style, or anything in between. For ringing in the new year in the quiet and comfort of your home, we recommend the Gisele Tuxedo PJ Set by Eberjey. This set is a new take on a beloved classic - the tapered pant and piping down the side of the outer leg really make these pjs look dressed up. The perfect kind of formal wear for cuddling up on the couch to drink a glass of wine and watch the ball drop. Of course, if you'd like to ring in the new year in something with a little more glam factor, we'd recommend a comfortable set like Fortnight. Fortnight specializes in bras that have no underwire but still provides amazing support. For your party of one, we'd suggest the Ivy Classic Longline paired with the Ivy Classic High Waist Brief. This set has an elegance seemingly reserved for eras of the past. Soft and silky to the touch with delicate floral lace accents, you can start 2018 in comfort and luxury of the highest caliber. Half of the fun of going out on New Year's Eve is the outfit. It's bold and beautiful with sequins and shine. With an outfit so glamourous, shouldn't your underpinnings be just as show stopping? Another option is to purchase the amazing lingerie and then build an outfit around the set to best show it off! A few of our favorite pieces that were truly made to be seen include items by Else, Heidi Klum Intimates, and The Great Eros. The Baroque Crop Top by Else is the perfect statement piece. This bra can be worn on it's own as a top with some rad high waist pants or full tulle skirt. Or, if you'd prefer, it can be layered under an existing outfit to provide an extra dimension of interest with it's ornate lace pattern. Bodysuits are a two for one in that you're able to take your lingerie out of the house to be added to your wardrobe as a stand alone top or layered under a smart blazer and sheer blouse. The Fleur Fantasy Bodysuit by Heidi Klum Intimates is the perfect piece to take your outfit the extra mile for New Years. With delicate lace trimming, cut outs in all the right places, and an exposed back, you can't go wrong. Pair with your skirt or pant of choice, some sparkly heels, and a vivid lip color and you're ready to go! 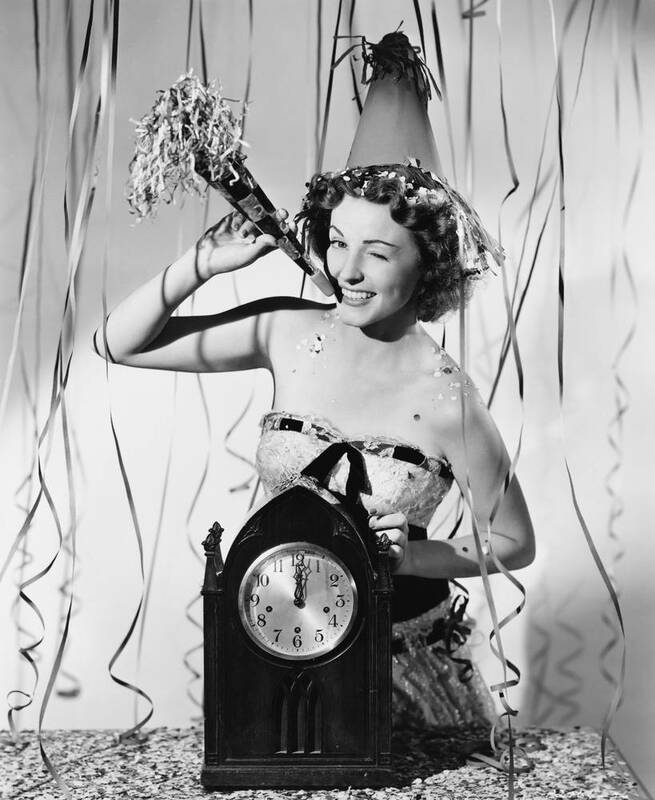 Whatever your evening plans may be, have a happy and safe New Year's Eve!